Wedding Entertainment is one of the most vital parts of Indian weddings. As weddings in India are celebrated as perfect family reunions and a chance to rejoice so Wedding Entertainment is just an icing on the cake. People love to enjoy every moment of this most auspicious moment of a couples life. Wedding entertainment is not a new phenomenon as India has inherited this tradition over a long period of time. Wedding Entertainment is as important as the wedding itself in India. People come to celebrate Indian weddings as it is a bona fide occasion for joy. Coupled with the fact that it is a one time event and also a joining of two family streams it involves the larger community as well. 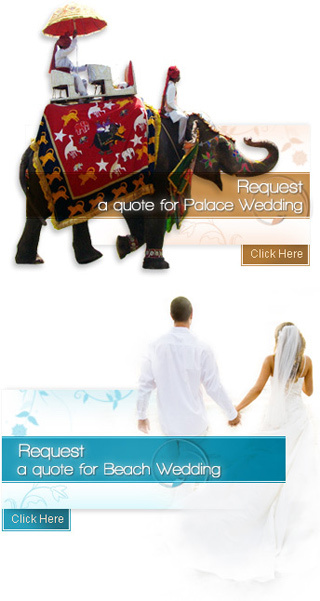 Wedding Entertainment in India is a grand affair that begins well in advance of the actual wedding. The quality of Wedding Entertainment depends on the purse strings of the family involved. The richer the family the more ostentatious the celebrations. In India the rich and the beautiful have taken it to new heights. Today it is common to have famous film stars dance at one's wedding. Famous professional dancers and dance troupes are also called for the wedding. Magicians too are called at times to perform for both adults and children at weddings. Fashion shows are held as part of Wedding Entertainment. Sometimes family members write and organize plays in which they act themselves. Weddings of the rich sometimes have professional theatre groups doing the same. Singing contests also form Wedding Entertainment. These days Bollywood is the theme for many weddings. Some weddings have film star look-alike contests. Wedding Entertainment in India tends to be loud and is skewed towards the glamorous. These days Wedding Entertainment is getting slicker and even international. Stars that have popularity at a global stage are often called these days. New themes taken from weddings in other cultures are also being increasingly seen. Wedding Entertainment seems set to get more professional and enjoyable for the guests.